The Internet of Things (IoT) hit the real estate industry in a big way. Smart homes typically sell for about three to five percent more money than their non-connected counterparts. Sellers and agents are also leveraging IoT technology to make home listings more enticing. Here are five ways home automation and the IoT can help make your home more appealing on the real estate market. 1. Make a positive impression at the front door. Your home’s entrance sets the tone for the rest of the house. Use a smart door lock to wow prospective buyers with your home’s technology from the start. The real estate agent won’t have to fumble with keys, instead entering easily with their own passcode, fingerprint ID, or a Radio-Frequency ID key fob. Smart locks not only wow perspective buyers, they can help make your life as the seller easier. Receive a notification when the realtor locks up at the end of a showing so you know you can head back home. Best of all, you’re likely to recoup your investment on a smart home lock. 2. Entice buyers with lower energy bills. Smart buyers consider costs associated with a home, including utility bills. Home automation upgrades like smart LED lighting and smart thermostats can help cut energy spending and this bonus can be an added selling point. Beyond these two features, some smart automation systems also offer water sensors, which can help detect leaks in your home. This helps prevent you from overpaying on your water bill or paying repairmen after a flood. You may also consider replacing your regular outlets with smart plugs to help cut back on unnecessary energy usage. 3. Keep the home safe with a security system. A professionally-installed home security system with 24/7 monitoring is a surefire way to help protect your property and your family. The new owners may also enjoy savings on their homeowners insurance by having the monitored system, which is an added selling point that can make your home more desirable. If the security system is paired with smart home features, like the ability to access video cameras or the alarm system from mobile devices, buyers are getting even more bang for their buck. You or your real estate agent should make sure to emphasize the customer support aspects of your system along with how easy it is to use. 4. Easily list your home online. If you’re selling your home without a real estate agent, let prospective buyers come to you by listing your home using the SQFT app. Simply download the app, upload photos, and create your listing. Real estate agents typically charge six percent commission for each sale, but SQFT collects only a one percent commission fee. You get the benefit of a convenient platform to list your home as well as keeping most of the funds from the sale. SQFT will also syndicate your home listing on other popular sites like Zillow, Trulia, and the MLS, making it easy to reach a large pool of potential buyers. 5. Help potential buyers view your home without leaving theirs. When selling your home, you need to provide plenty of details online, as a large part of the home shopping process now happens on mobile devices instead of in person. To take your listing beyond photos, you can use Matterport 3D Showcase. 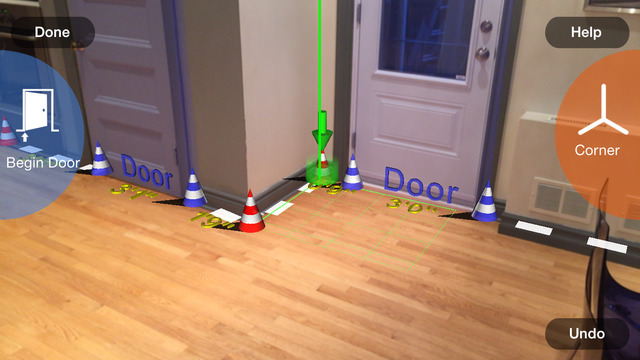 This 3D tour gives prospective buyers an even more in-depth look at your house and property. To create the tour, capture various angles of every room, using an iPad app to build a multi-dimensional, virtual tour of the home. Home shoppers can view the tour online through the browser-based app 3D Showcase, or on popular VR platforms including Samsung Gear VR, Oculus Rift, and Google Cardboard. Give buyers a better idea of the layout of your home before they visit it by using the MagicPlan app to create a digital floor plan. Simply walk from room to room, using your phone to take photos as you go. The app then creates a floor plan that you can upload with the rest of your home’s information. You can also save the floor plan as a JPEG to share with real estate agents and buyers. Selling your home and moving can be challenging enough, but these five IoT and home automation features can make it a bit easier. Use some (or all) of them to help make your home more appealing to potential buyers and to get your house off the market sooner.